R Hair has been a passion for Vanessa Wright her whole life. It is something she adores. Wright is student at Louisiana State University. During her early college years, she worked as an apprentice in a hair salon. Her step mom, Reagan Turner, did not like the shop. She says she felt that it was infested and that she had to get Wright away from there. “I couldn’t leave her in that environment,” said Turner. Because of this, Turner began looking for a location. When she found the right one, she fixed it up and gave Wright a shop of her own. 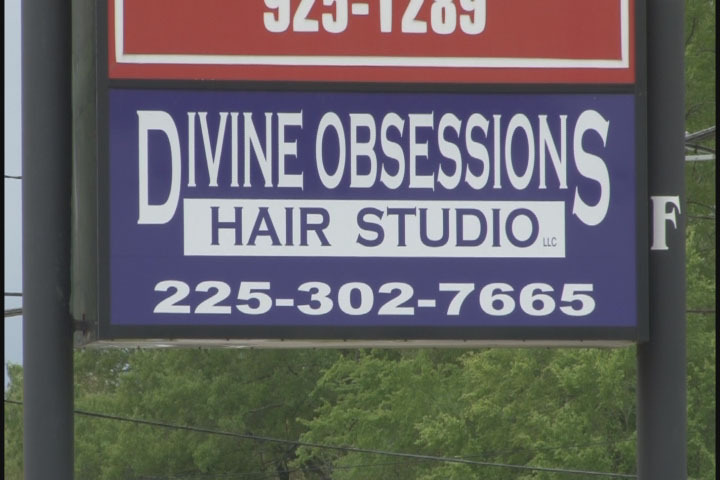 The shop is called Divine Obsessions Hair Salon. Wright took the role of managerial stylist. With the new position, she had to learn how juggle being a full-time college student, and running a business. This is a task she admitted has not been the easiest. Tuner says Wright is doing an excellent job of balancing the two sides of her life. However, she is prepared to close down the shop if school becomes less of a priority. Wright plans to graduate in 2014 with a degree in sociology. After graduation, she plans to become a traveling stylist.